We’re on the brink of what could be the most catastrophic moment in Syria’s seven-year civil war. The fight between government and rebel forces has come down to one final patch of land: Idlib. Syria and its Russian and Iranian allies are massing on the edge of Idlib. The bombing has already begun. Some three million people—including families, children, and refugees—are crammed into a space roughly the size of Rhode Island. Half the people living here aren’t even from Idlib. They’re from other war-ravaged parts of Syria, forced to come here after their communities surrendered. It is so crowded in Idlib that some have said if one bullet is fired, it will kill two people. And there is nowhere else for them to go. Turkey has shut its border with Idlib in fear of yet another wave of refugees seeking asylum there and in Europe beyond. There is talk of opening humanitarian corridors so people can flee to other parts of Syria. But many on the ground do not trust the Syrian and Russian forces now bearing down on Idlib. The idea of opening a corridor to escape what they consider their last refuge—to them, it feels like a death sentence. Rubble from a former opposition stronghold in Syria. Photo by Matt Willingham/Preemptive Love Coalition. The question is not what will happen next. It’s what do we do? Right now, we’re making every preparation to respond on the frontlines—whether families flee toward us or we’re able to reach them where they are. There could be desperate need for medical care in and around Idlib. Thousands could be injured. There is no way hospitals in Idlib—many of which have been bombed already—will be able to cope with the carnage of full-scale war. But we also know how to provide urgent medical care in Syria. 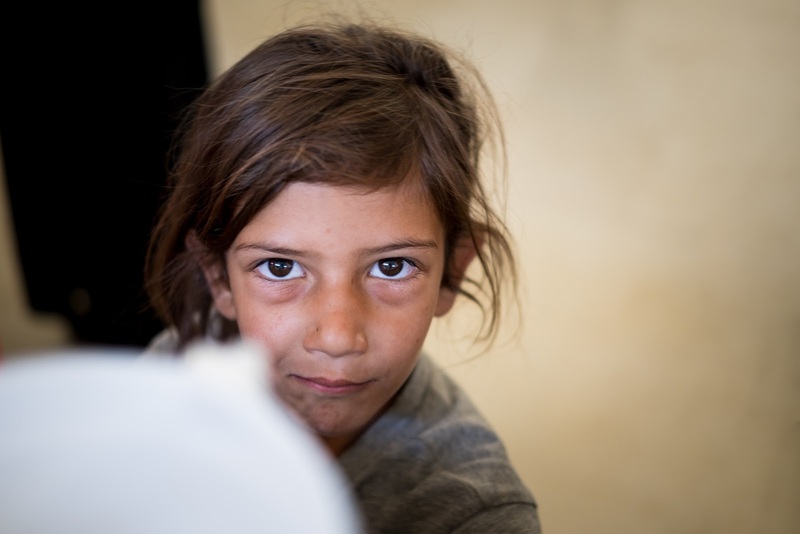 You’ve helped send mobile clinics across the country, mending wounds in Aleppo, Deir ez-Zor, Douma. You’ve equipped larger primary care centers like the one treating thousands of displaced families in eastern Ghouta, just outside Damascus. We are doing everything we can to be ready to meet the urgent needs of injured Idlib families. Families on the run will likely need food to keep them going during weeks and possibly months of displacement—not to mention the months and years of rebuilding that will follow. But we also know how to sustain families on the frontlines. You’ve served up millions of hot, cooked meals in emergency kitchens across Syria. You’ve kept families fed when they had nothing left. An emergency kitchen feeds displaced families in Syria. Photo by Matt Willingham/Preemptive Love Coalition. There is a lot about Syria that feels hopelessly complex right now. But our part—what we need to do in this moment—is very simple. We know how to mend the wounds of war. We know how to care for those on the run from violence. We know how to help families rebuild. The question isn’t whether we can do it. The question is: will enough people respond? Will this global community of peacemakers show up in Syria—as you have shown up so many times before? The news media has pulled back from Syria for the most part. Global interest is waning. It’s not a coincidence, and it’s not just because there’s so much more going on in the world right now. It’s our policies and our rhetoric. The way we talk about refugees and those caught up in violence not of their own making. We’ve made it so we don’t want to hear this kind of news anymore. The result? There could be a bloodbath in Syria, and you might not even hear about it. Idlib could turn into a lake of blood. One bullet could kill two people. Chemical attacks could rain death from the sky. And you might not even know it’s happening. It’s our job to change that, together. To remember that we really do belong to each other—all of us and all those trapped in Idlib right now. Our well-being is bound up in theirs. So we’re asking you to get ready. The final assault on Idlib may not come today or tomorrow, but it is coming. If you give today—and especially if you commit to give monthly—you help us to plan, to dig in, to make a long-term commitment to families trapped in Idlib. As best we can tell, we are looking at a 3-6 month emergency response, followed by years of recovery and rebuilding. Help us to respond to this crisis now—and to stay in Syria to help our friends rebuild. Rush help to Idlib families. Give now. I want to give to	help families in crisis.